De Lancey’s Brigade was a British provincial military unit raised for service during the American War of Independence. Its commander was Brigadier General Oliver De Lancey. 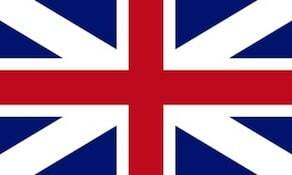 The unit was formed in September 1776 on Long Island, New York, after the Americans had lost the Battle of Brooklyn. It consisted of three battalions of 500 men each, with De Lancey serving both as Brigadier General and Colonel of the 1st Battalion. In the winter of 1776/7, the three battalions were stationed (one each) at Oyster Bay, Huntington and Brookhaven on Long Island. In May 1777, the 1st and 2nd Battalions moved to the Kingsbridge area, north of Manhattan. The following month the 1st returned to Long Island; the 2nd would remain at Kingsbridge. In the spring of 1778 the forts that had been erected at Huntington and Brookhaven were abandoned, and the 1st and 3rd removed to encamp near New Town. In November 1778 (although the Brigade had originally been formed “for the defense of Long Island”) the 1st and 2nd Battalions were ordered South, where they served under Lt. Col. Archibald Campbell. The unit fought at the Battle of Eutaw Springs and other battles in the Carolinas. The 3rd Battalion remained on Long Island for the entire war – as did De Lancey himself. The entire brigade was disbanded in New Brunswick in 1783.